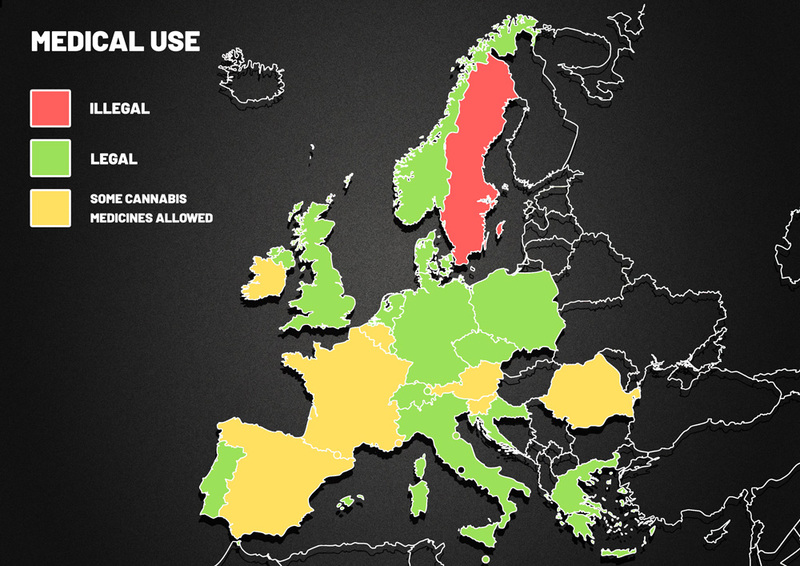 Over the last decade or two the European approach to cannabis has changed significantly. And that rate of change could be getting faster than ever, especially with so many positive changes happening in Canada, USA and elsewhere. The changes have largely been initiated and driven by the acceptance of medical cannabis. Experience from the USA shows that legal recreational cannabis usually follows a few years after medical use is approved. Possession for personal use decriminalized in January 2016. Illegal, but small quantities treated as a misdemeanour and fine. Illegal, sometimes unenforced for small quantities. Some cannabis derived medications allowed. In recent years there has been a clear trend towards easier access to medical cannabis for European patients. However this varies from country to country. And in many cases the political opposition to cannabis has made access to medical cannabis slow for patients. The UK is a good example. Various UK governments have routinely ignored scientific evidence regarding medical cannabis until some recent paediatric epilepsy cases generated too much negative publicity for the Government. At this point they announced legal access to medical cannabis, starting on November 1st 2018. However, many patients are unable to get access to cannabis due to continued political obstruction and slowness to create a workable system to distribute cannabis. 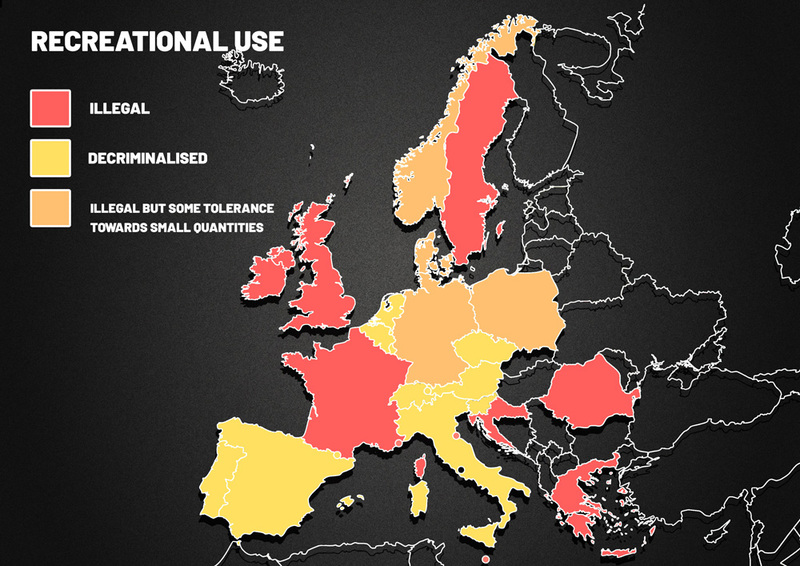 Using cannabis in Europe for pleasure remains mostly illegal…but for how long? In the future people will look back curiously at the nanny-state culture which frowns on anyone using cannabis for recreational pleasure. Probably many Europeans will do exactly what recreational USA cannabis users did and masquerade as a medical user to get cannabis and a legally clean conscience. That’s an unnecessary burden to the European health systems, but it is an entirely predictable consequence of legalizing medical use and leaving recreational users with a criminal status. If the last 10 years in Europe were about the increased acceptance of medical cannabis, then perhaps the next 10 years will be about the increasing European tolerance to the use of cannabis for pleasure. Legal recreational cannabis may not be here yet for most Europeans, but many feel it can’t be far away. Spain to be as influential as The Netherlands in future? Spain currently has some of Europe’s most friendly and tolerant cannabis rules. Catalonia has led the way and Barcelona has a great reputation for a sophisticated network of cannabis social clubs. 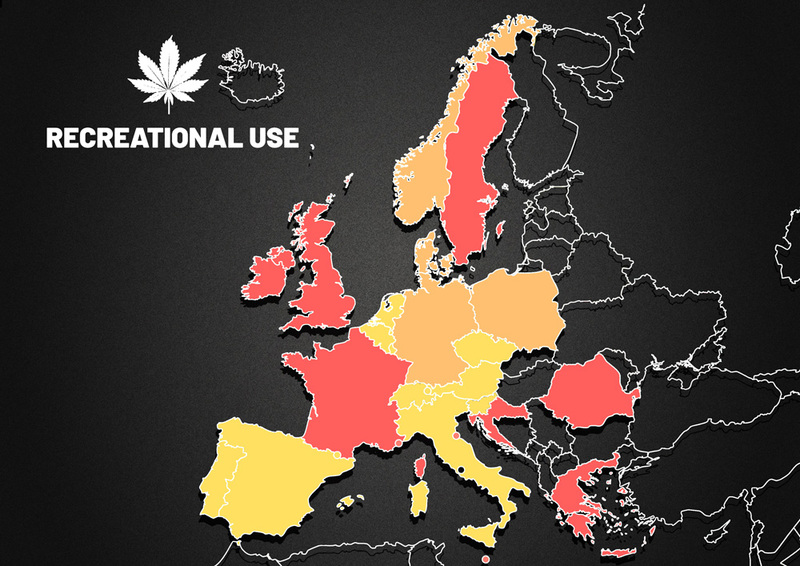 This makes Spain a great place to be for discerning cannabis users. And the climate is great for outdoor growing, which means very low cost cultivation. That could be important as Europe see’s a growing demand for a cost-efficient producer of large quantities of medical cannabis. If Spain is able to capitalize and build on it’s current position it could be come very influential in the future of the European cannabis industry. 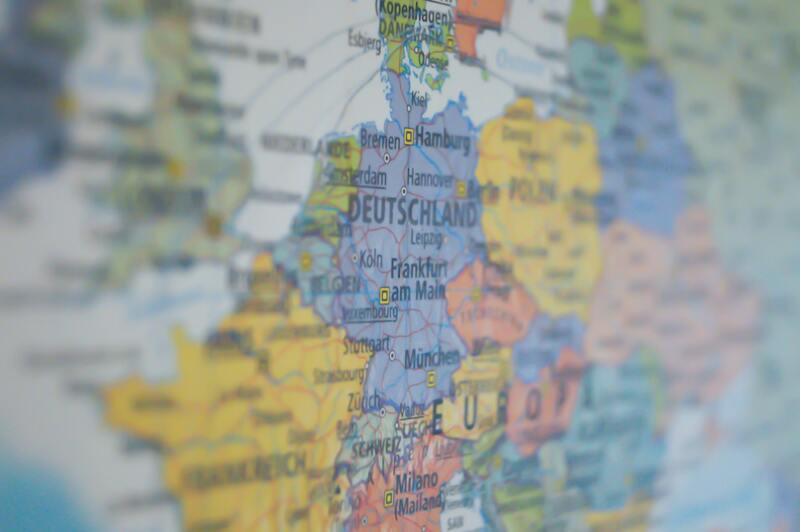 Legal cannabis cultivation in Europe? Whether it is legal or illegal, millions of cannabis seeds are bought sold and planted in Europe each year. These days that includes a lot of autoflower seeds, which are popular with both indoor and outdoor cannabis growers. Photoperiod feminized seeds are also grown in huge numbers by traditional self sufficient cannabis home growers as well as more organised larger scale growers. 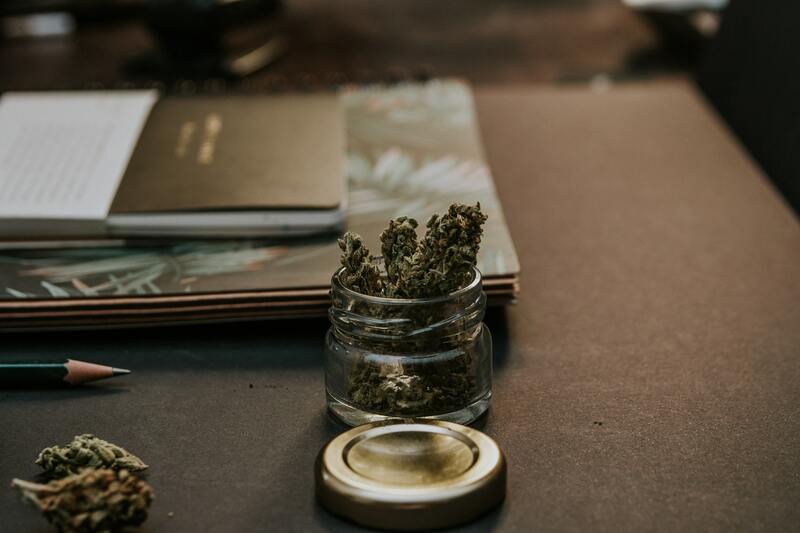 Many serious cannabis lovers prefer to grow their own cannabis, even in areas of the world where it can be bought legally in dispensaries, coffee shops or social clubs. Eventually Europe will need to create laws which allow for licensed large scale cultivation to meet demand, similar to the USA and Canadian model. Commercial scale cannabis growing in Europe would remove a lucrative revenue stream from the black market. The first European country to fully legalize cannabis, like Canada did, will be in a strong position to dominate the important initial phase of European cannabis supply. It will attract a lot of investment, new companies and new jobs. The initial ‘green rush’ will be worth €Billions to the first European country to fully legalize cannabis as inward investment floods in. And once established, these companies would expand rapidly. Until then it is likely that the various European countries will edge slowly towards more complete medical legality. After that, possibly with some fiscal attractions adding urgency to the political process, we will see the first countries legalize recreational use of cannabis. The next decade should be fascinating to see unfold. Until then, the home growers of Europe will be busy planting their own cannabis seeds.